Credit cards. You can get your first one when you’re just 18, and they do have a certain allure. Don’t have the cash right now? That’s okay; if you charge it, you can pay it later when you do have the cash! And it’s a financial safety net, too, right? You can fall back on your card if you have a medical emergency or need to get a sudden car repair, and you can pay in installments rather than having to try and come up with the full amount in one shot! All of these seem like good reasons to have a credit card, like, yesterday. And you would be right, except for the insidious fact that having open lines of credit lulls you into a false sense of security. When you sign up for a credit card, even just the act of doing so has an impact on a very important number: your credit score. This mystical number has a lot of myth and legend associated with it. You may hear the phrase, “You need good credit in order to…” followed by some variant of purchase a house, rent an apartment, or finance a car. Less common are mentions of starting a small business or getting any sort of personal loan. What they are referring to is your credit score, and they are right; it does need to be good in order to make these kinds financial decisions. 35% Payment history – Paying on time raises your credit score. Paying late or skipping payments lowers it. Paying more than the minimum amount is always better, because you can avoid interest charges. However, a card that has a defaulted payment can shoot its interest rates through the roof. 30% Utilization ratio – The ratio of your used credit balance versus unused. A lower ratio is better, but getting that ratio to affect your score positively is a bit hairy. Opening new lines of credit (especially in a short period of time) can lower your score, but upping your credit limit can improve the ratio. And yet, open lines of credit are a negative thing towards your score. That is why credit is a dangerous dance. 15% Length of credit history – The longer your credit history, the better it is for your score. 10% Types of credit used – Managing different kinds of credit, like a mortgage, revolving or installment plans, can help improve your score. “Good debt” applies here, such as student debt, home debt, or car debt. These are overall positive impacts on your score… that is, unless you default on a payment. Then you’re in for a world of hurt. 10% Recent inquiries for credit purposes – Every time someone accesses your credit score (it is, after all, not private information), whether for a loan or in order to rent an apartment, it impacts your score. A large number of inquiries in a short period of time is a negative impact on your score, even if you have a legitimate reason for the inquiries (shopping for a mortgage loan, for example). Reversing these effects can be often difficult and hairy. Even if you don’t use your open lines of credit, having them sitting there collecting dust is bad. The reason for this, is that it costs the lender money to keep that credit line open for you and they may close it due to inactivity. A closed account negatively impacts your credit score every time. Not to mention, some cards have annual fees, and those can catch you unawares if you happen to forget about them. What’s to be done, though, if you’ve managed to mess the whole thing up? That’s where a company like creditrepairnerds.com comes in. They can help you resolve these issues, clean up your score, maintain your credit lines, And help you get on your way towards whatever credit goal you have: a house, a car, or just paying off some bills. The most important thing to remember is not to leave it go. 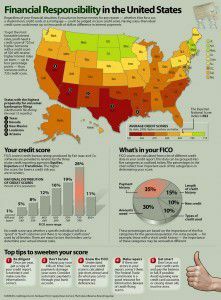 Taking action is the only option in order to repair your credit score, because it will not and cannot repair itself.